Won First Place in the school division Friday. 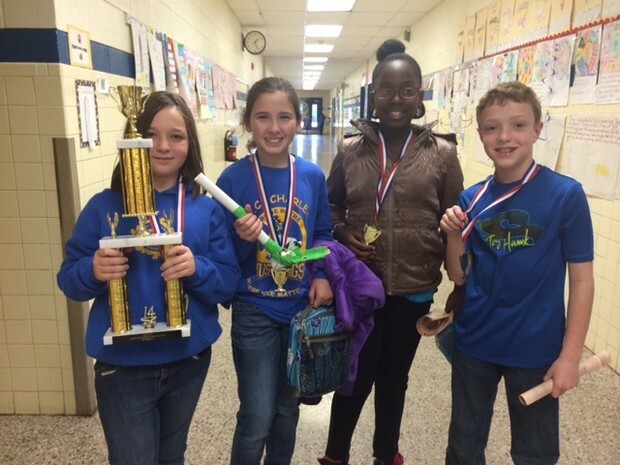 See the team's picture below (Kaniah Alexander, Makennah Tatum, Allie Cerny, Michael Mason)! 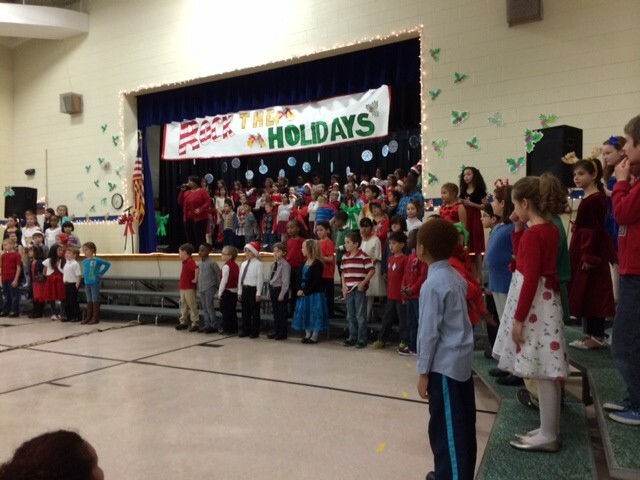 Thank you to the PTA and our own Ms. Jeffers, Specialist Team, Custodial Team, 2nd and 3rd Grade Teams, Volunteers, etc. who participated this week! Did you know that elementary schools averaged 9.28 circulations per student this fall? However, Charles' average is 12.04! Kudos to Ms. DiGiorgio and Ms. Avery. Customer service and attention to detail show in their work! 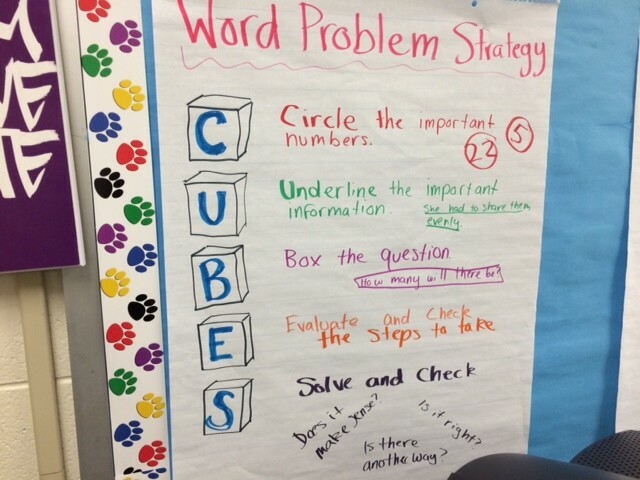 Strategy poster from Ms. Ganze's second grade class. 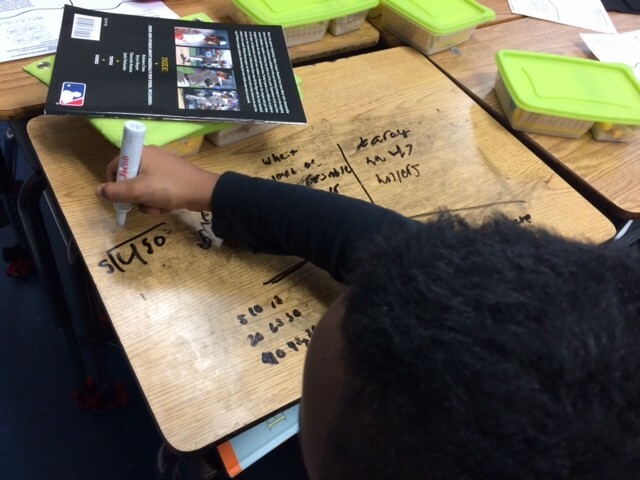 Student using 4-Square strategy in Ms. Suttle's fourth grade class.